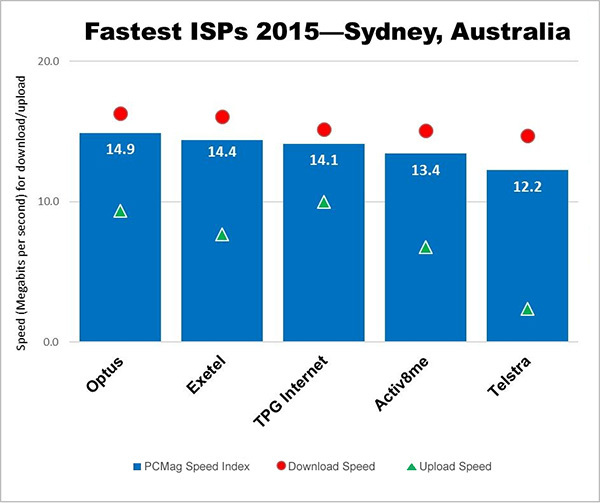 and internet service providers are in Sydney. Optus offers unlimited data for $80/month on a two year contract, which comes out to a total of $2,045 when you include setup costs. Exetel offers unlimited data for $55/month on an 18 month contract. Activ8me has plans starting at $40/month with 100GB download limits. Unlimited data plans start at $60/month. Telstra is, as with mobile phones, the most expensive. A 100GB download limit is $75/month on a 24 month contract. Upping the limit to 1,000GB costs $95/month.